Amazon.com description: Product Description: The second edition of this popular book offers an accessible yet sophisticated analysis of the game-changing events and trends that are transforming the world beyond recognition. For the first time in human history, more people live in cities than in the countryside, and greater numbers suffer from obesity than from hunger. During the next few decades, India will become the biggest country in terms of population, China the largest in output, and the United States the richest among the major economies on a per capita income basis. Food and water shortages will likely become humankind's most important challenges. 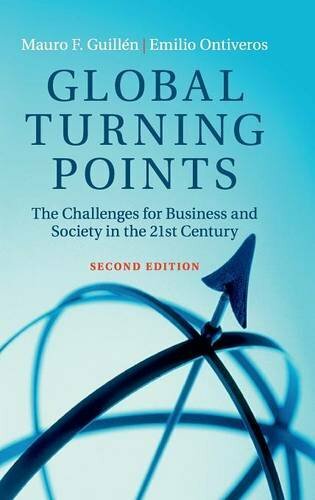 With four new chapters on the rise of the global middle class, the transformative power of technology, institutions and the entrepreneurial spirit, and the trials and tribulations of the financial system, this book provides a thorough introduction to the challenges facing business and society in the twenty-first century. About: The second edition of this popular book offers an accessible yet sophisticated analysis of the game-changing events and trends that are transforming the world beyond recognition.